A khatam star has eight points and is used in Islamic architecture, literature, and culture. 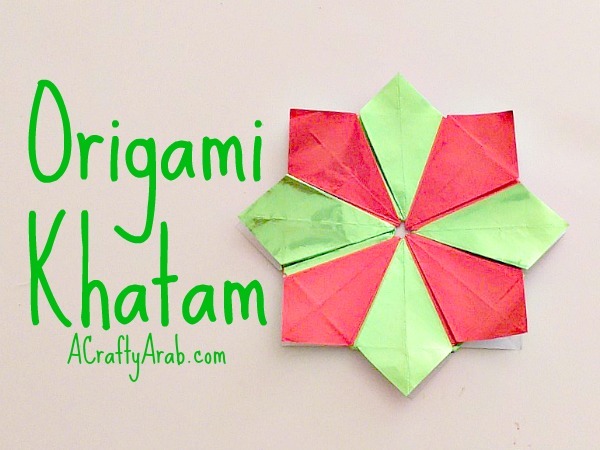 We have made a lot of khatam crafts as part of our 30 Day Ramadan Crafty Challenge, such as the Khatam Ramadan Window Clings and the Ramadan Matching Game. However, both times we used a punch. 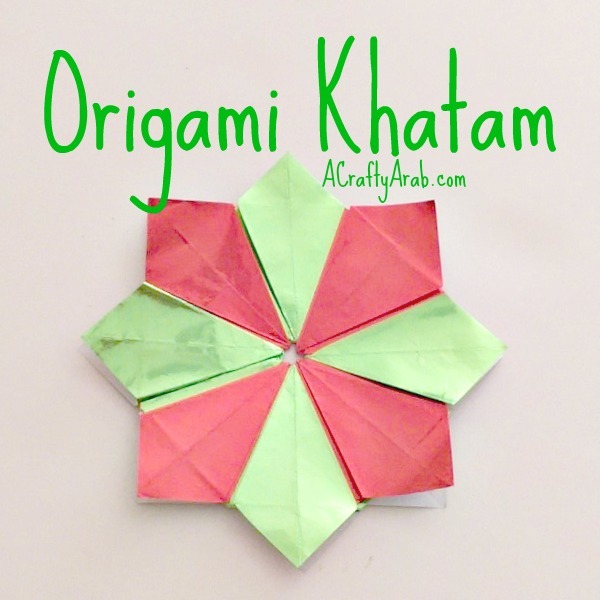 Today, we thought we would make a khatam star from scratch using an old origami technique to build up the points. 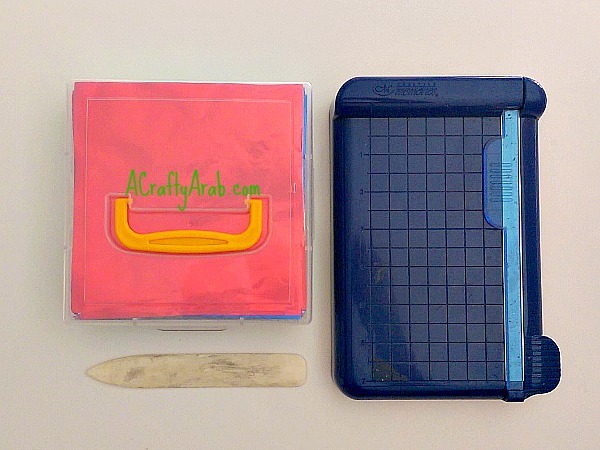 Cut your 6×6 paper in half twice so you have four 3×3 squares. Pick a second sheet and do the same. You can make your star using the same color, but we wanted to use contrasting colors so you can see how the whole star is put together easier. 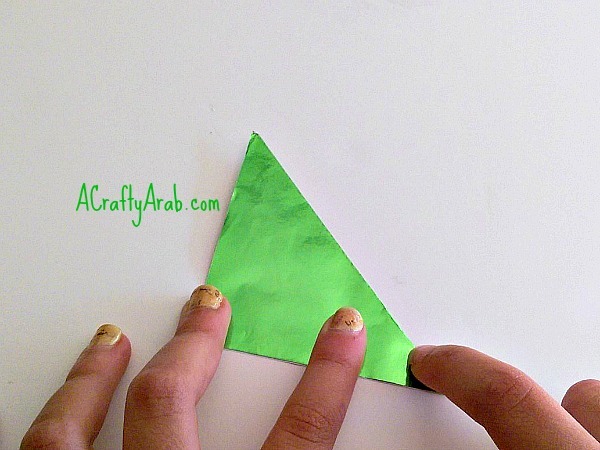 Making sure your paper is square, place it white side up and fold it diagonally. 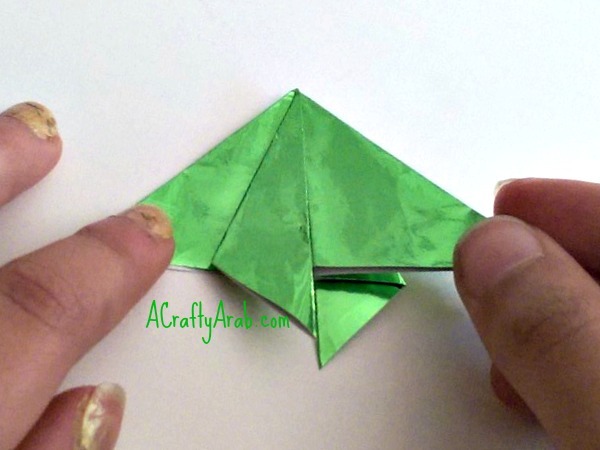 Then unfold and fold diagonally in the other direction. 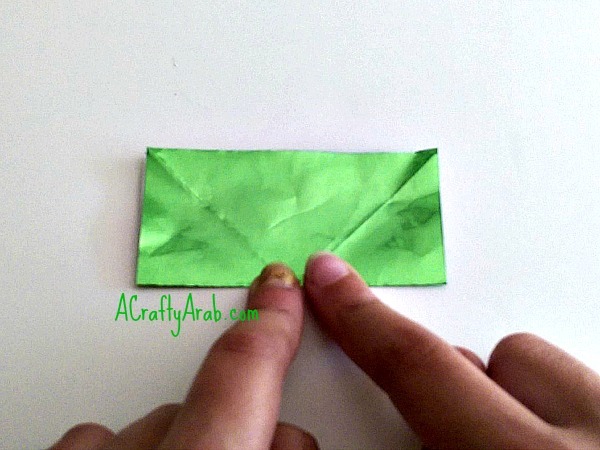 Unfold your paper and fold it again lengthwise, unfold it and fold it again widthwise. 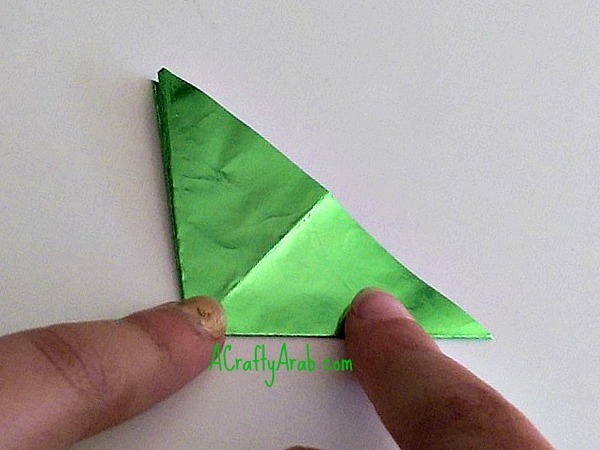 Loosen one ending, separate the layers as you apply pressure, squashing the open square to make a triangle. 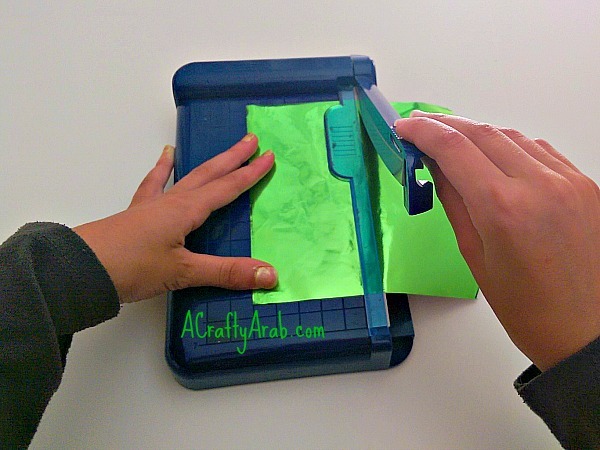 Turn your paper over and do the same on the other side. 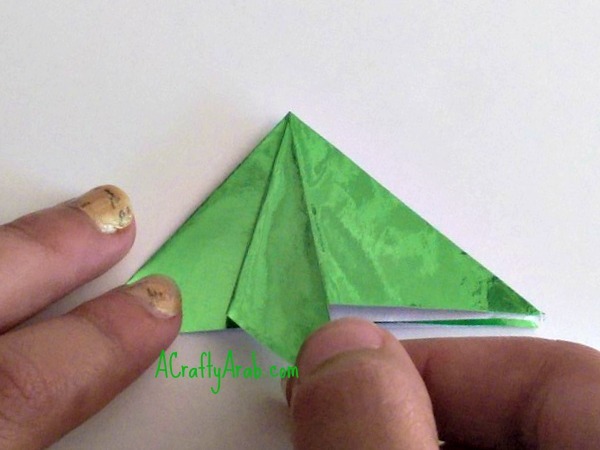 Fold the left edge of the top layer to align with the center line, then unfold. Turn your piece over and do the same thing to the left top layer. Put your bone folder into the fold you just made and loosen the opening, bringing it to center, forming a diamond shape. 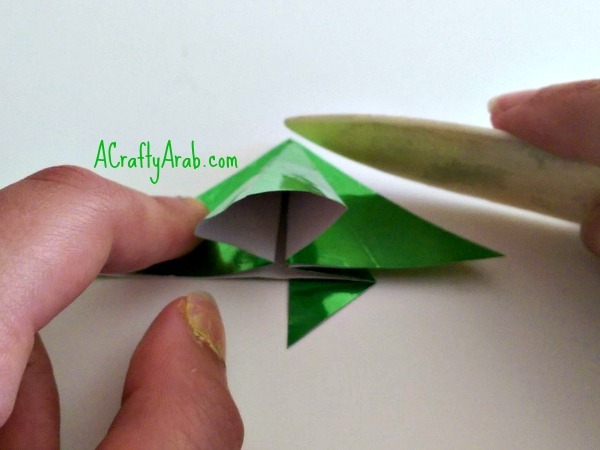 Use the bone folder to flatten the fold. Make seven more for a total of eight points. 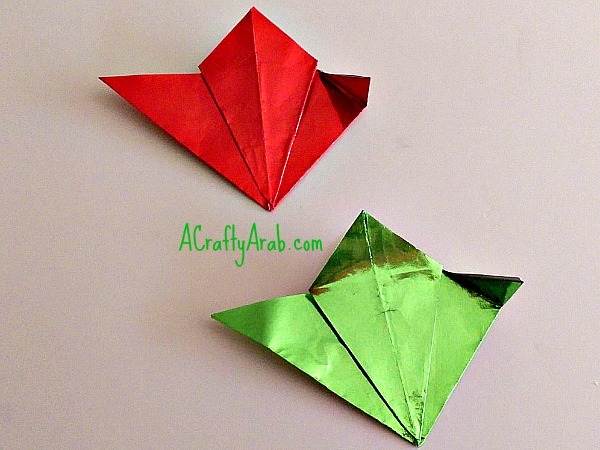 Fold the top right triangle on two pieces. 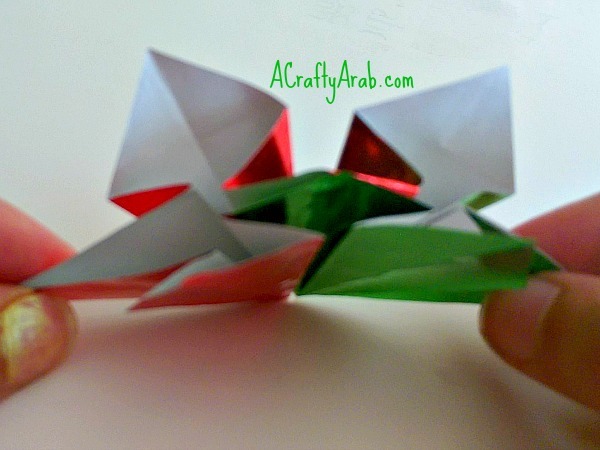 Insert them into each other, placing the small folds over the next piece to bind them together. 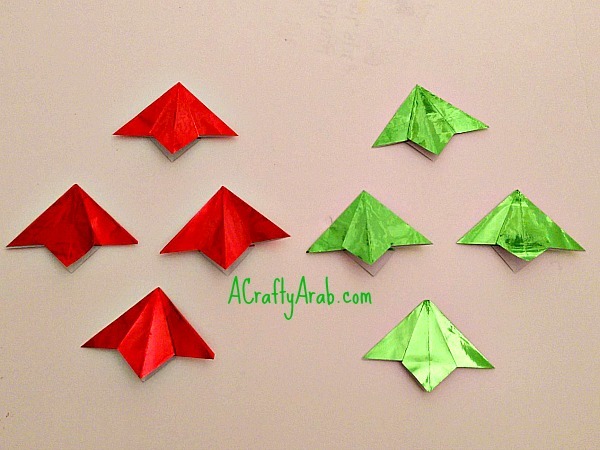 Grab the next piece and fold over the top right triangle. Then connect it also and keep going until the last piece is in and folded over the first piece. 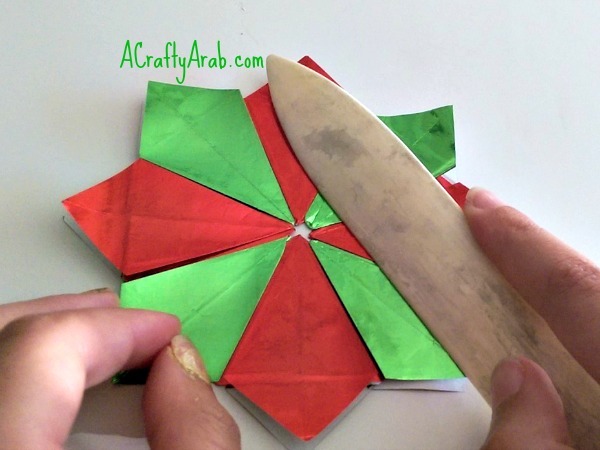 Lay the bon folder over the star and smooth out any loose ends. We made five stars total, but it got too dark before we could take a photo of them all together. For now enjoy our one star and I’ll update the photos tomorrow, insha’Allah.